A little bit about the life of Giovanni Sirabella. Private tour driver from Livorno cruise ship port and from Florence. Buongiorno! May I introduce myself? 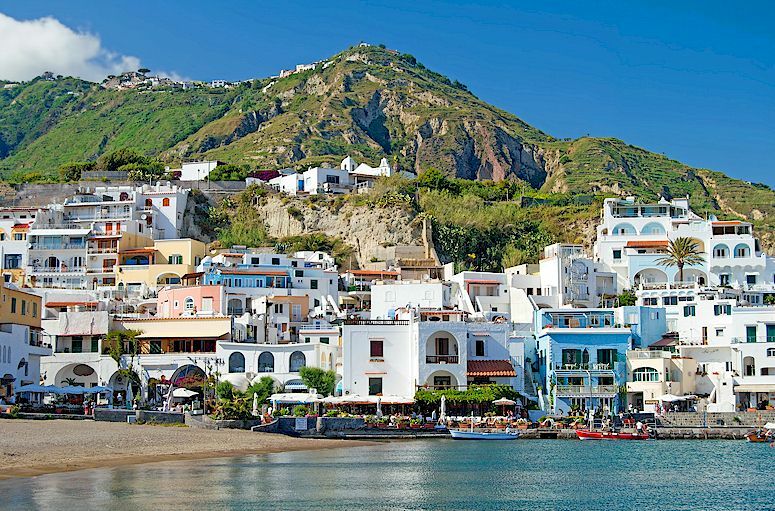 I was born some years ago in Ischia, an enchanting island in the gulf of Naples, one of the most attractive tourist destinations in the entire south of Italy. Ischia is not as popular as its more famous sister, Capri, but let me tell you that I would never exchange my island for Capri! My grandfather owned one of the best restaurant-pizzerie in the historic centre of the town of Ischia and when I was a child I spent there most of my summers eating pizza margherita every day, giving a little help in the dining room and having a lot of fun with clients from all over the world. My little brother and I were the mascots of the place and everybody loved us. So I can tell you that working in the tourism sector and spending time with people have always been part of my nature. But Ischia is also an island of sailors. My father used to be the chief engineer on cargo ships and, of course, I chose to study at the naval college. Then again tourism: I earned a degree in Economics with a Masters in Tourism. As a young man, I worked for some years for a local council member. This included taking care of the organisation of summer events. But as I told you, there was some salt water in my blood, and eventually I felt the call of the sea: my father told me that there was a competition for a Purser on the famous cruise ship, Achille Lauro, one of the most beautiful cruise ships of that time. I could not resist. I participated in the competition and at the end I was able to realise my old dream; sail the oceans - and what good luck, on a cruise ship! I can tell you it was the best time in my life! I saw so many places, I met people from all over the world and I even received an excellent salary! So I continued in this sector and my second ship was the “Italia Prima” a 5 star ship of only 450 passengers. This was the time we did the entire world cruise - 5 months all around the world. Unforgettable! And so on and on until 1998, when I realised I was very tired and ready for a big change. In the past, during my months off from work on cruise ships, I once went on holiday in Tuscany with my girlfriend. It was love at the first sight! “This land is a paradise” I said. Wonderful countryside, precious art towns, beautiful beaches, gorgeous mountain for hiking. When I had to decide where to start a new life, I had no doubt. Let’s move to Tuscany! I rented a small apartment in one of the most beautiful villages of the Chianti Classico, namely Greve in Chianti. Of course, my first experience was to participate in the grape and olive harvest! 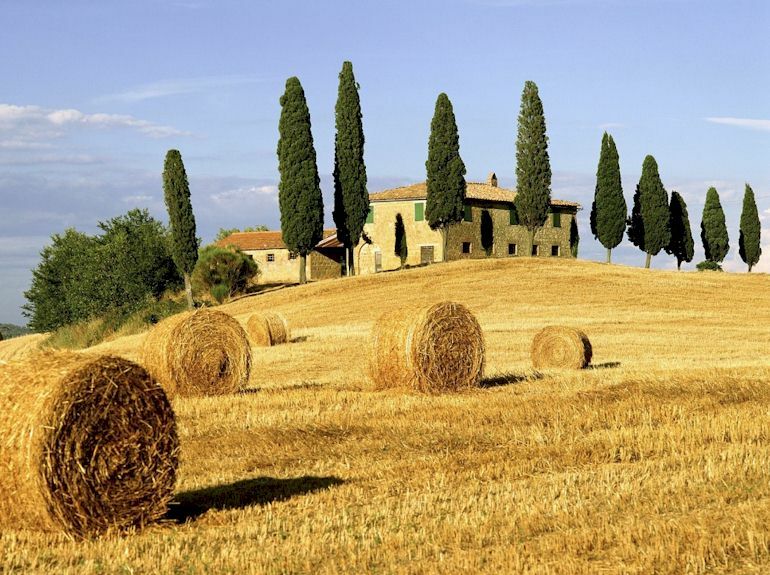 After some relaxing time in the countryside after years of rough sea, I worked for American travel agents such as Go Ahead Vacations and Oversees Adventure Travel, gaining a lot of experience of the Tuscan territory. By then, I was ready to do something on my own and I opened my small company, renting a car with driver, and started to do some wine tours organised by the local tourist office of Greve in Chianti. After 16 years, I can tell you that I still have the same enthusiasm as when I started and that I would never change my job with anything else. So, come and see me - you will never regret it!!! All text, translations, images and coding Copyright © Giovanni Sirabella 2005 - 2018. All rights reserved.